Welcome to Photolightning's Photo Mail! 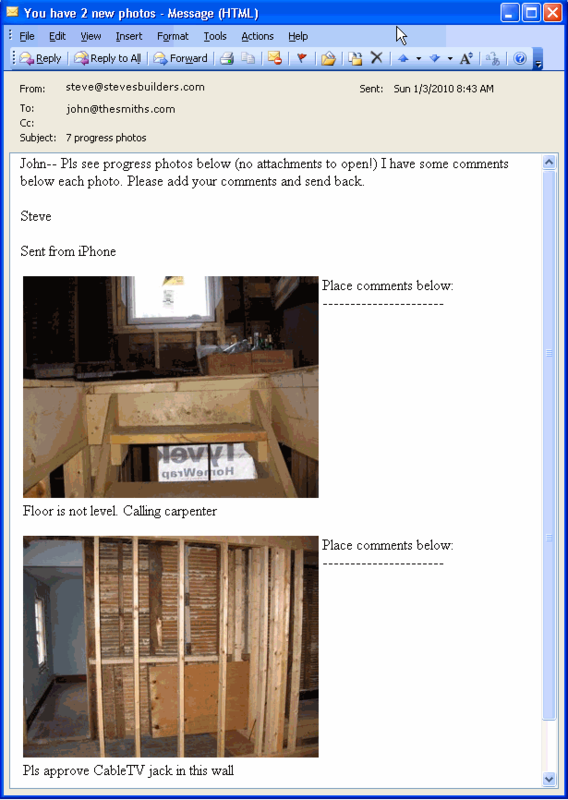 Photolightning Photo Mail is designed for businesses such as real estate, construction, inspectors, adjusters, appraisers, installers, etc. that have services employees who need to quickly send photos along with comments which are easy for recipients to view and then respond with their own comments. With Photo Mail, you quickly choose a template, add multiple photos, place them into the body of your email (no attachments! ), add comments, and send. 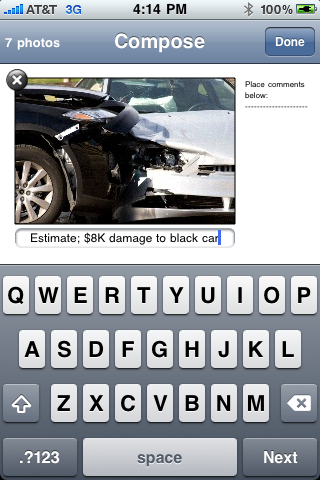 Photos are automatically reduced (you can adjust this option or turn reduction on/off) for faster sending. 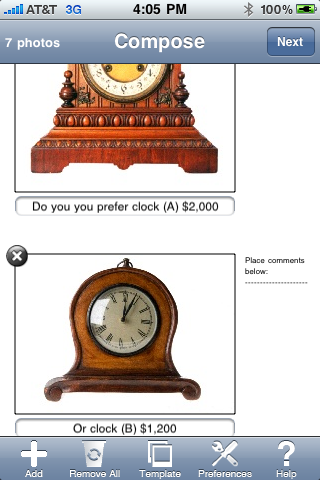 There is even a convenient template for people to respond with their comments. PURCHASE NOW BY CLICKING HERE! Photo Mail is designed to work with any SMTP mail server. 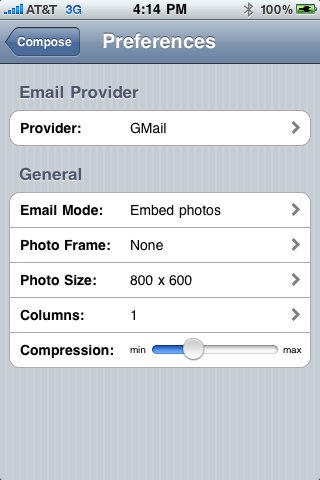 Photo Mail includes settings for AOL, Comcast, Gmail, Hotmail, Yahoo Mail Plus, and Verizon. If you use another service or a corporate email server and know your own SMTP settings, you can quickly tell Photo Mail how to send photos from any email address. To contact technical support directly, please email us at . 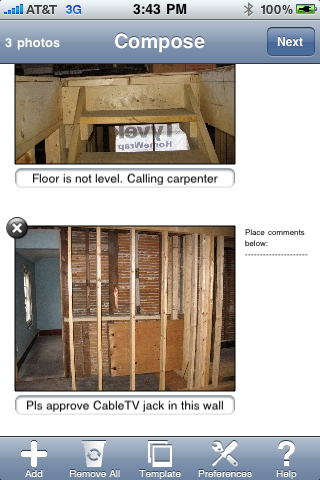 Quickly add photos and comments Use for insurance, appraisal, inspection, construction and much more! 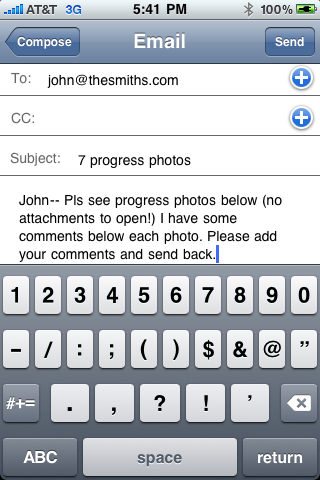 Photo Mail includes a full email client so you can include full email text along with your photos! When your recipients receive their email, they will see your photos and comments in the body of your email - no attachments to open! Check out our Photolightning Photo Software for Windows! Photolightning for Windows is the easiest way to print, email, edit, and share your photos and includes special functionality for business users to make it easy to prepare your photos for eBay, place photos into Microsoft word templates, and markup photos/add comments. Copyright (c) 2010 Photolightning Corporation. All rights reserved.